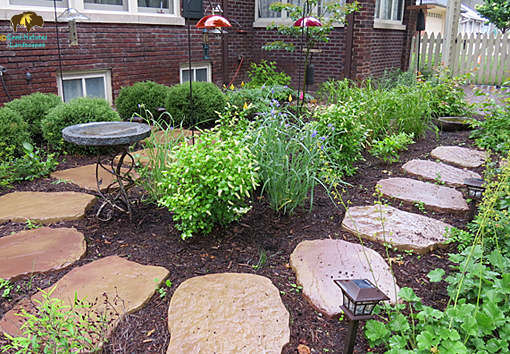 This side yard is now a beautiful rain garden and wildlife bird habitat, eliminating all lawn. 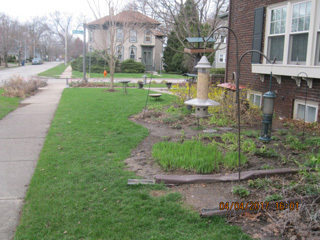 Since it’s in the front yard, hopefully passersby will think about their downspout run-off and need for a lawn. Paths throughout allow access to water spigot, homeowner’s bird feeders & baths, plants, and gate through arbor. We’re adding another rain garden in front. Stay tuned! 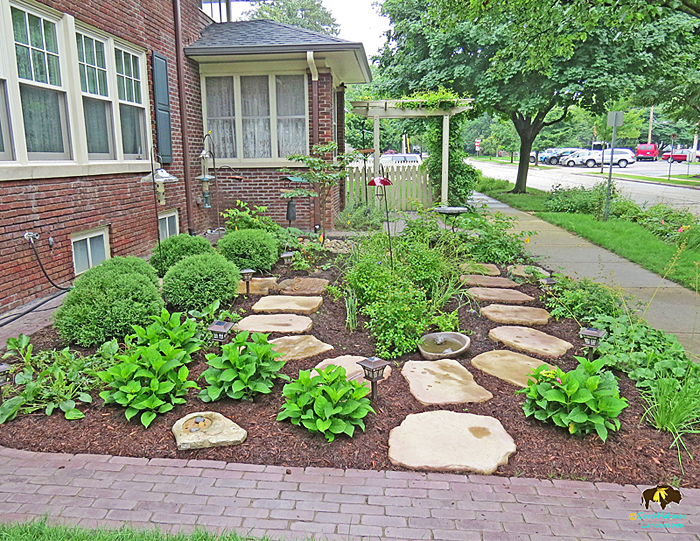 A well designed rain garden has carefully chosen plants, keeps water away from the house, considers overflow and grading, and integrates functionally and visually with the rest of the landscape. 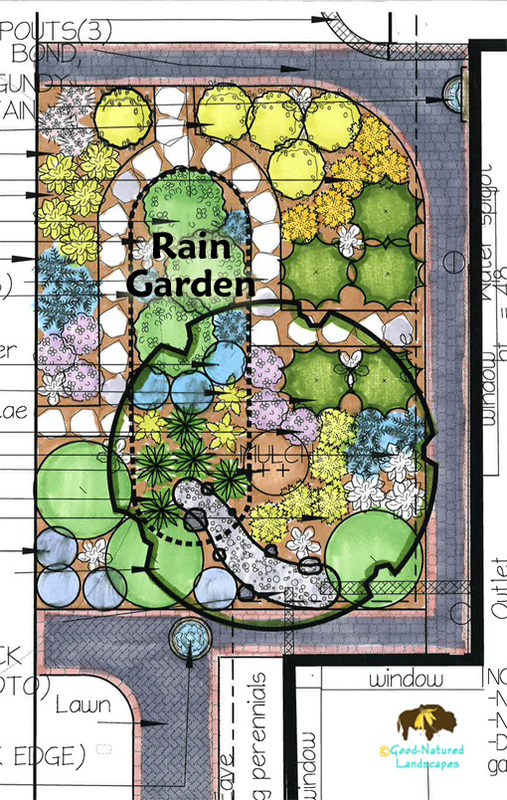 Section of the landscape design plan. 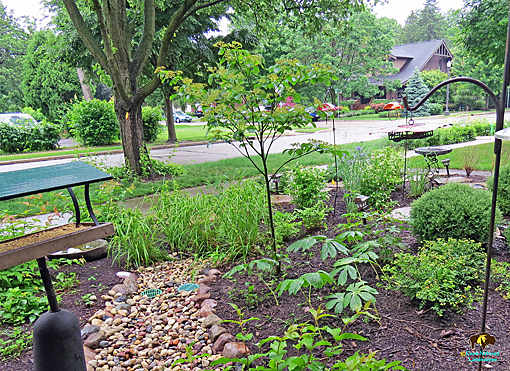 View looking toward rain garden, where downs spouts originate at house.